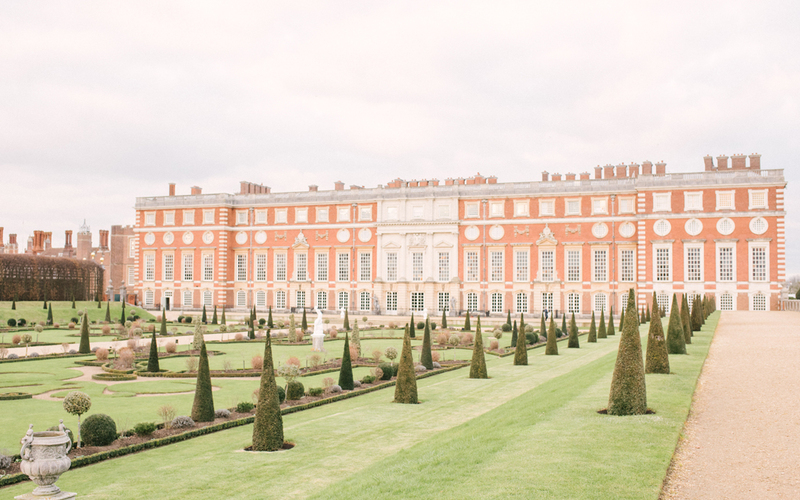 Hampton Court Palace is simply one of the most stunning wedding venues in the country. Splendid formal gardens, elegant cobbled courtyards and magnificent Tudor and Baroque architecture make this 500-year old treasure a spectacular backdrop for your wedding. The palace is on the A308 and easily reached by road from London, Heathrow and surrounding areas by the M4, M3 and M25 motorways. 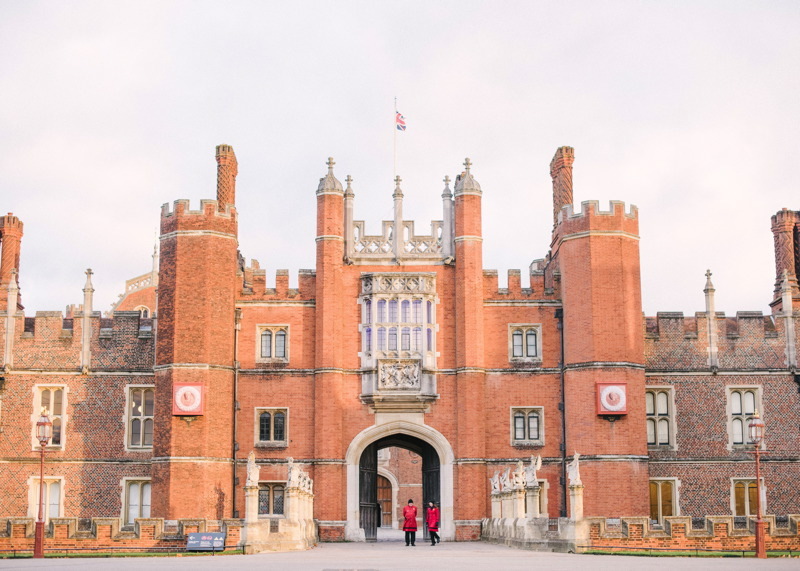 Hampton Court Palace is just 15 miles from London’s West End. Parking is available within the grounds. Train service is half-hourly at Hampton Court British Rail station, only a short walk from the palace. Journeys from London Waterloo take just 35 minutes via Wimbledon and Clapham Junction. 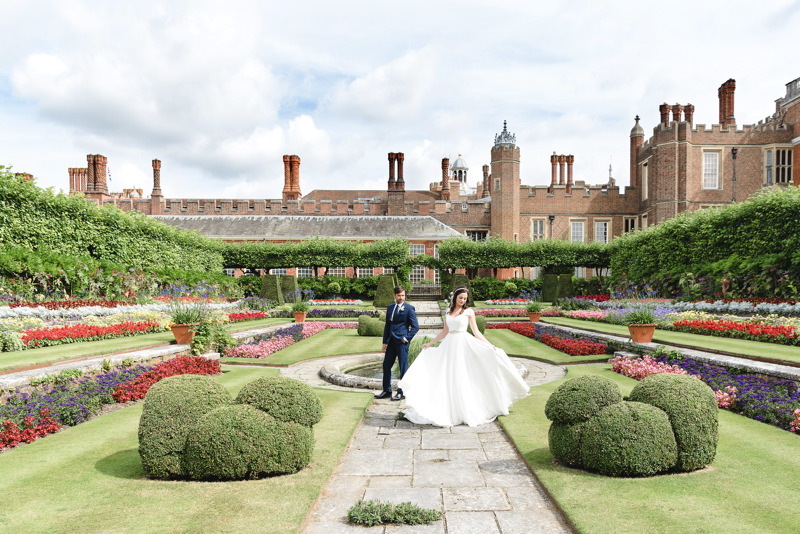 Whether you are planning a spectacular wedding or a more intimate reception, Hampton Court Palace’s inspirational venues guarantee you and your guests a stirring atmosphere – and a day you will always remember. Light and airy, this beautiful room opens out into a vast garden reserved exclusively for you and your guests. 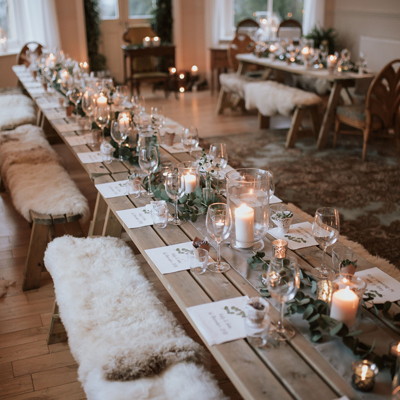 Enjoy a champagne toast under ancient trees in the lush greenery, followed by dinner and dancing in this spacious and versatile 1920s-style orangery. Simply one of the most spectacular spaces in Britain, England’s last and greatest medieval hall is where royal residents once dined. 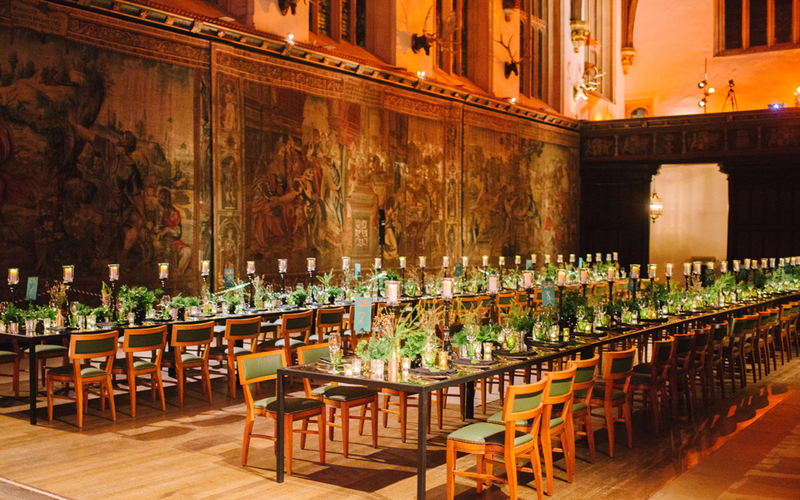 Once Henry VIII’s beer cellar, the atmospheric Undercroft complements the majestic hall above, offering the perfect venue for dancing and after-dinner entertainment. 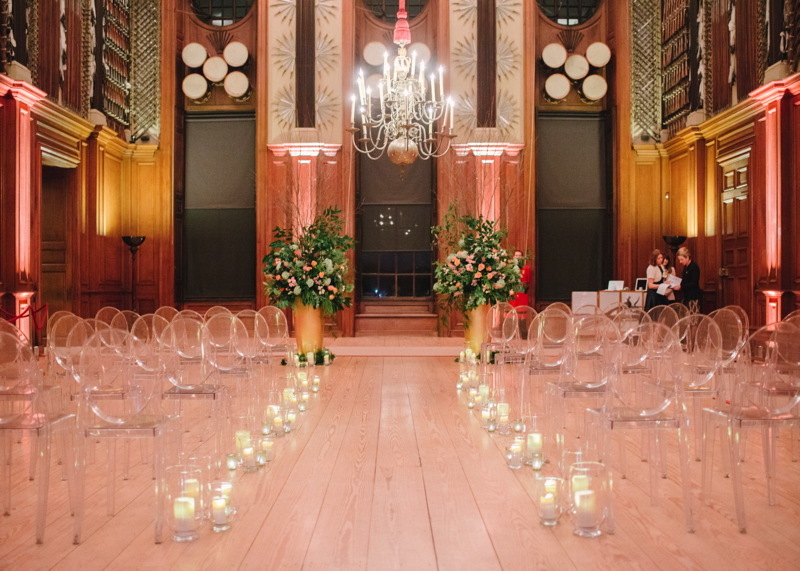 Together with the Great Hall, the two spaces make a gorgeous setting for an unforgettable wedding. This long, graceful room was originally designed as a private greenhouse for King William III. Today, drinks receptions spill out into the immaculate Privy Garden and can be followed by a procession through the magnificent State Apartments to one of the palace’s glorious dining rooms. Your guests will marvel as they climb the grand King’s Staircase en route to this fabulous oak-panelled room that once displayed awesome ‘cartoons’ by Renaissance master Raphael. 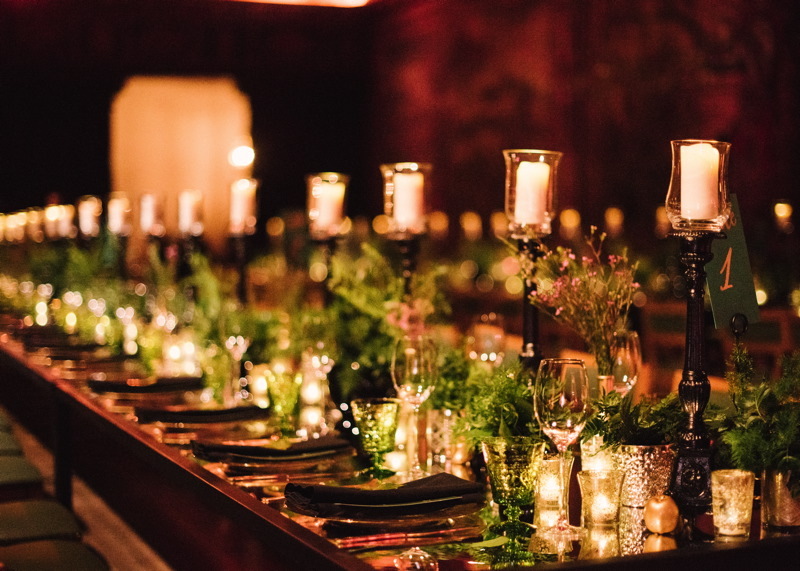 Picturesque and welcoming, the Little Banqueting House is perfect for intimate celebrations. 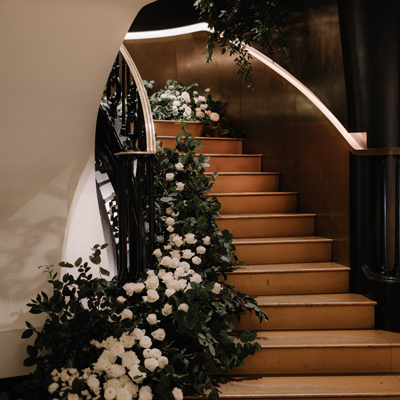 Set peacefully amongst the palace gardens and spectacularly decorated, the interior’s 18th century paintings and murals by Antonio Verrio offer a classic backdrop for your civil ceremony, reception or dinner. Along with beautiful views of the Thames, you will enjoy a wonderful vista of the Tudor and Baroque architecture from the stone terrace. You are hiring an unforgettable setting – but as their clients you will also get a dedicated, personal service from an experienced events team. As they meet with you regularly to help realise your vision, they will bring the benefit of their expertise and their knowledge of the venues. They will also introduce you to a first-class range of suppliers. Their familiarity with the palace means everything will run smoothly. Whatever you can imagine for your ideal day, they will help you make the most of this magnificent and versatile venue.